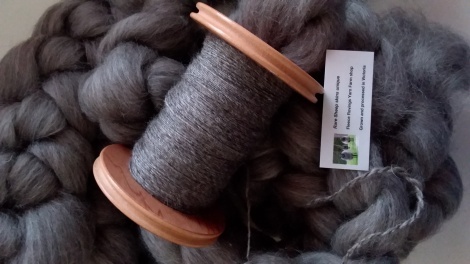 200g pack of stunning Australian GOTLAND COMBED wool tops. Grown by Granite Haven Gotlands (Vic) and processed in Victoria by the teams at Velieris and Cashmere Connections. A soft silky darker pearl grey with lustre and a soft handle. Spin laceweight to art yarn. Eminently suitable for shawls, sweaters, accessories.